Happy Birthday to Persimmon Tree! With this issue we now are a year old—can you believe it? Thanks to all of you, our Charter Subscribers. When we started the magazine, we thought that a lot of people would be interested, but we never imagined the support and encouragement you have shown us. By being Charter Subscribers, you have let us know that the magazine is finding its way into the world. That’s really important because our mission is to provide a place where the talent and creativity of women over sixty can be seen by a wider audience. Your numbers are growing—we already have 4,000 subscribers. But we want even more people to appreciate the wonderful material in this magazine. Which leads me to ask you once again to spread the word of Persimmon Tree to everyone you know. In this past year we’ve received many emails about our poetry submission policy. Lots of you feel that we have been too exclusive by including only one well-known poet an issue and not opening up submissions to everyone. You’ve argued that there are so many excellent poets who have difficulty getting their poetry published, andPersimmon Tree should be a place for them, too. We heard you—and we think you’re right. Starting in our second year, we are changing our poetry policy. 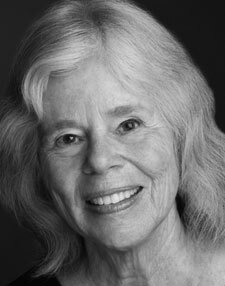 In some issues we’ll still honor one outstanding poet (see Carolyn Kizer’s powerful poetry in this issue), but we’ll intersperse this practice with issues that include lesser-known poets. As a first step, we’ve called for poetry submissions from the Northeast region; they will be judged by Judith Arcana and published in the September 2008 issue. In the future we’ll include other regions and hemispheres. For further information, check out the Submissions link here on the website. A hard thing to say: Persimmon Tree receives scores of submissions, and we’re behind in considering them. I apologize for the time it is taking us to get back to our authors. As a writer myself, I know the frustration. But the upside of this is that we’re thrilled to receive your submissions. Keep them coming. Even if we don’t put your piece in the magazine, we appreciate the opportunity to read it. It’s astonishing how much good work is being done by women over sixty. Good news: We’ve received an anonymous gift of $1,000 to be used for prizes! You’ll hear more about this soon. Nan Fink Gefen was the founding publisher of Tikkun magazine in 1985 and the founding editor of Persimmon Tree magazine in 2007. She is the author of Stranger in the Midst (Basic Books, 1997) and Discovering Jewish Meditation (Jewish Lights, 2nd edition 2011), and her fiction and nonfiction pieces have appeared in literary journals and magazines. She currently is working on a novel, Woman on a Wire.